a. 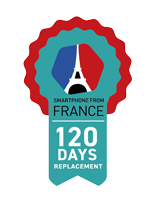 Customers who purchased Wiko Mobile Vietnam smartphones products will be eligible to 120 days replacement (Transceiver only) from the date of purchase. b. Original Valid Proof of Purchase /Official receipt or Tax invoice of the Product must be presented when sending in product. d.	Wiko Mobile Malaysia Sdn Bhd appointed authorized service centers will make the final assessment on the cause of failures. e.	1 to 1 exchange (120 days replacement) is applicable to transceiver only and is applicable to one time replacement only. The warranty period is defined as the remaining time of purchase and the first activation recorded by Wiko system. h.	Any defects arising due to misuse of the Wiko Mobile Device, damages due to liquid ingress, physical abuse, dent, crack screen or LCD, corrosion, removed or defaced imei numbers, scratches or damage to plastic surfaces and all other externally exposed parts that are due to normal customer use, any unauthorised disassembly or rust will not be covered.